Posted by Wairimu in food, Meats, What's cooking? I know, I know, I was supposed to write this like months ago! But there was a problem with getting my camera, and then it slipped my mind! I’m terrible I know! 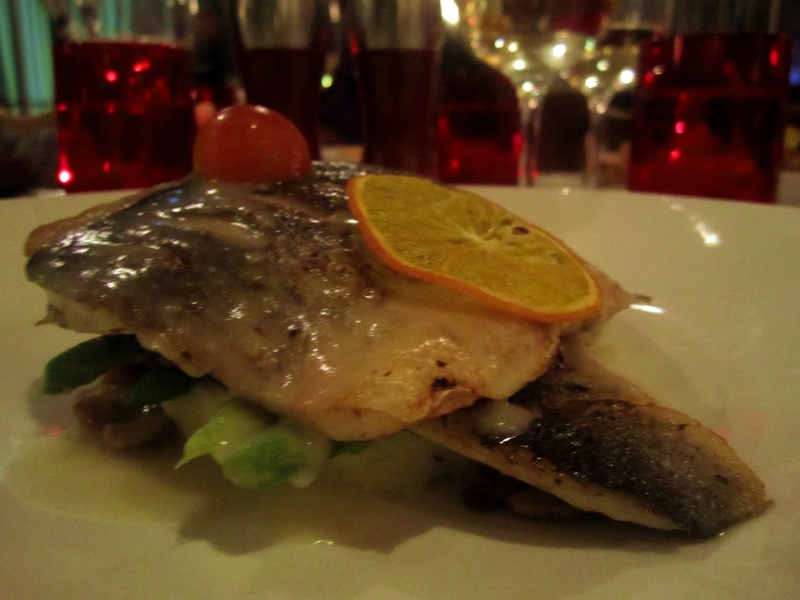 But here it is, still fresh in my mind and still taste everything in my mouth…. Dubai with the hubby! I’m not going to bore you with all the gory details of the endless days we spent shopping and go straight to the food! Being about the time we were braking for lent, I wanted to eat everything; McDonald’s and KFC were on the list (I’m a sucker for junk food) but at the top had to be a good ol’ steak. We were staying with hubby’s cousin Lawrence and his girlfriend Melissa in Dubai Marina, and what lovely hosts they were! From the minute we got there, to the moment we left they were bags of fun! We arrived around 5am, passed by the duty-free to get essentials; bottle of wine, jagermeister and vodka. This is the equivalent of our mother’s taking unga (flour), sugar etc when visiting someone, but our generation we take bottles! Our first meal was a Burger King Burger. I don’t remember what it tasted like to be honest, but it was all we could get at that time, and I was slightly inebriated to care. 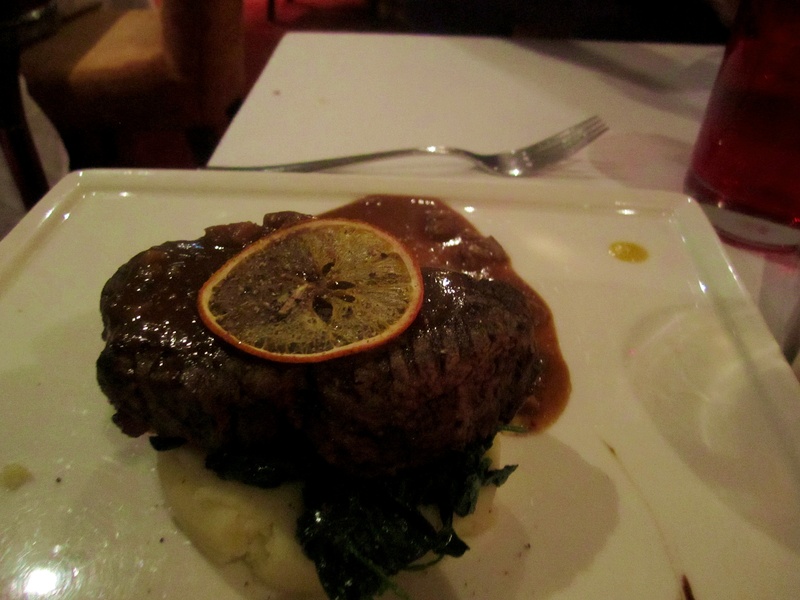 However, our next meal was even better, I got my steak. 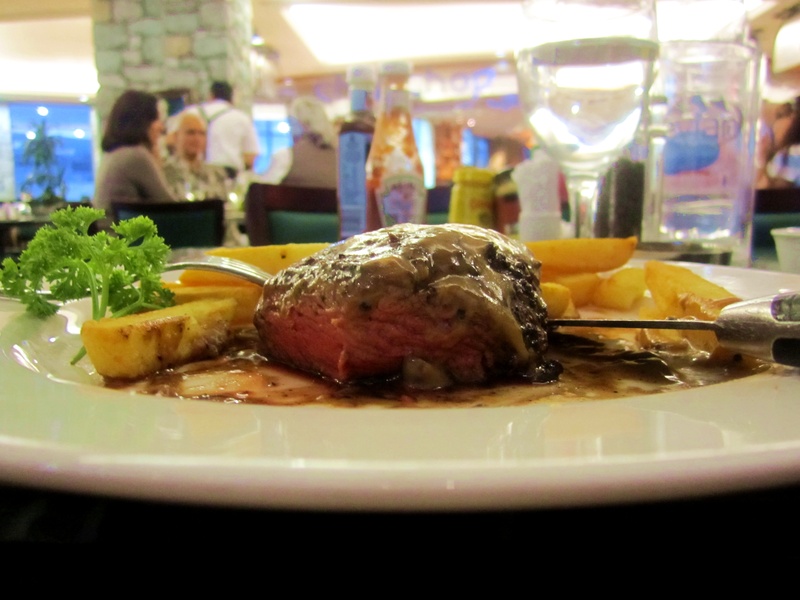 We went to Butcher Shop & Grill in The Mall of Emirates. It’s a South African butchery, if you want a steak mid-shopping, I would definitely recommend you try Butcher shop. But you can be sure not much shopping will be done afterwards. 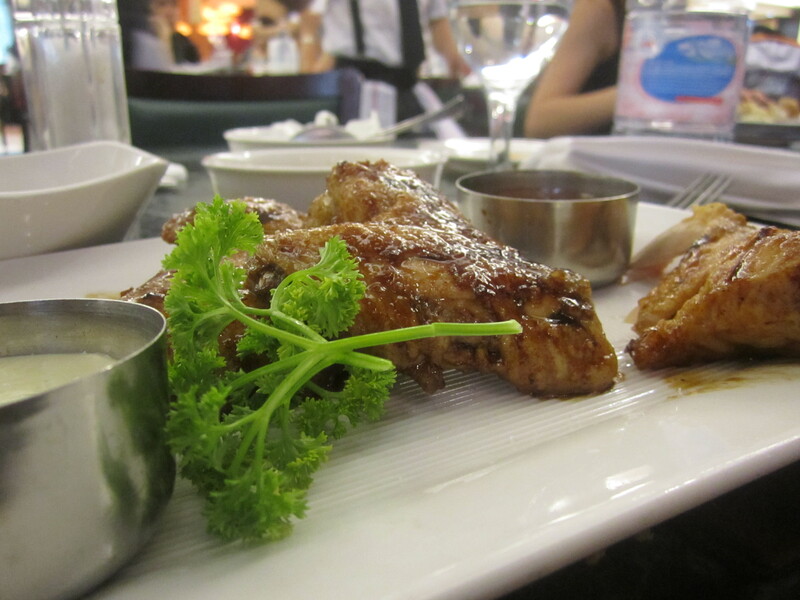 We had BBQ chicken wings with a Blue cheese dip to start with. These were good, I loved the Blue cheese dip most and the wings were pretty large. Main courses; my hubby had beef ribs, a full portion and I had a sirloin steak, medium/rare. 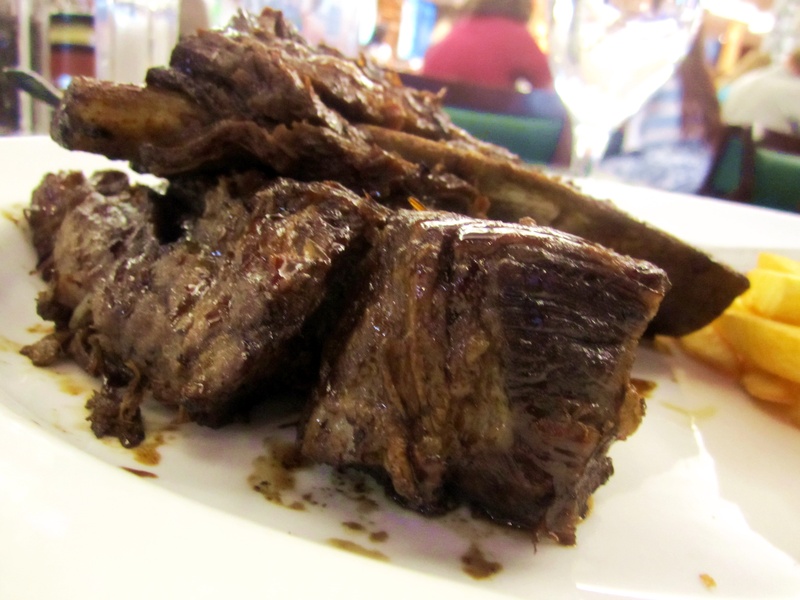 Now the beef ribs are something special, they are huge pieces of the soft meat, that tears away from the bone so, what’s the word, effortlessly? The steak was just as good, it was done just right. 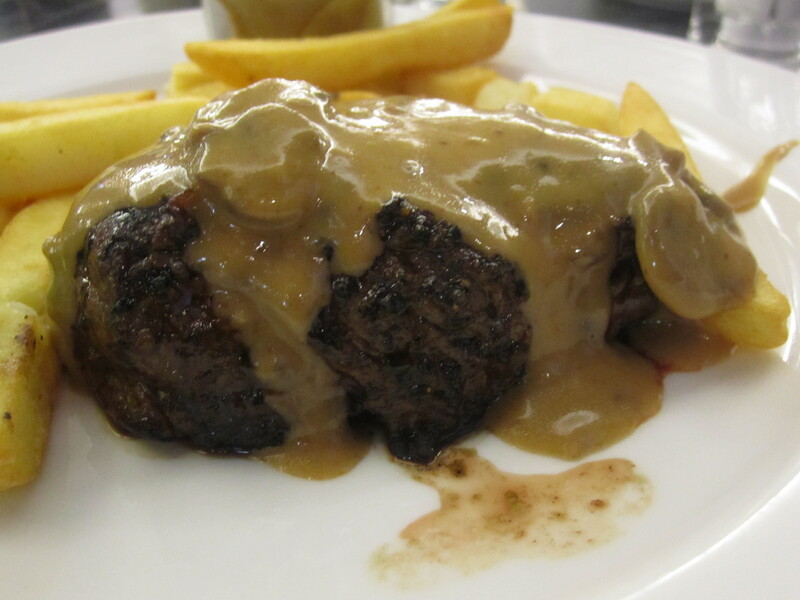 Being so used to veggies for forty days, eating a steak was more than a task, after two bites I was already full so we had it packed to eat later! Even a couple of hours later, it still tasted just as good. And the full portion of ribs managed to feed all four of us! I loved being in Dubai, I loved the way of life, loved the shopping, but most of all loved the food! Loved it so much, I’m trying to convince my hubby to move there… but still a work in progress, he’s lived there before for 3 years, so I don’t think he’s in such a hurry to go back! I keep telling him; Dubai brings out the best in him, in us! On our last night in Dubai, we had a special dinner… the four of us went to Frankie’s Italian Bar and Grill by Frankie Dettori and Marco Pierre White in Al Fattan Towers, Dubai Marina. 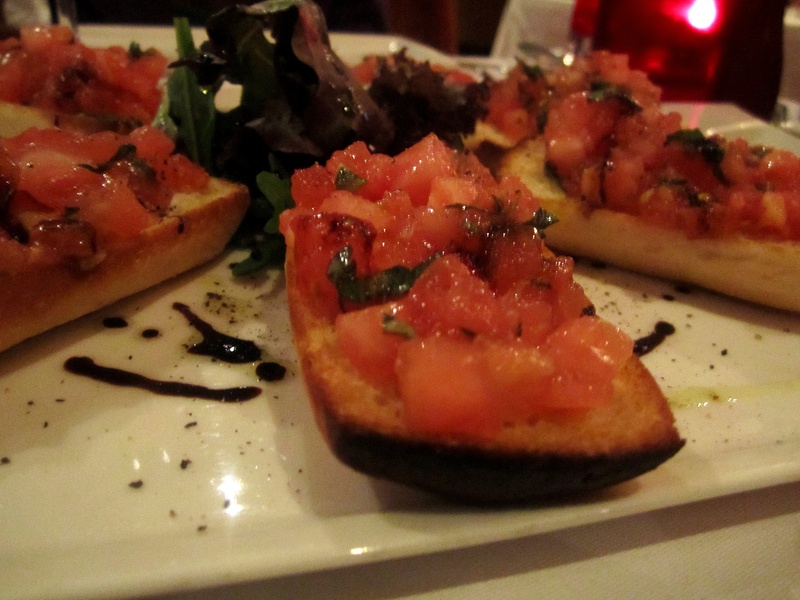 This was my favourite part of this trip, the food was exquisite… I sound like I should be a judge on Master Chef! And…. 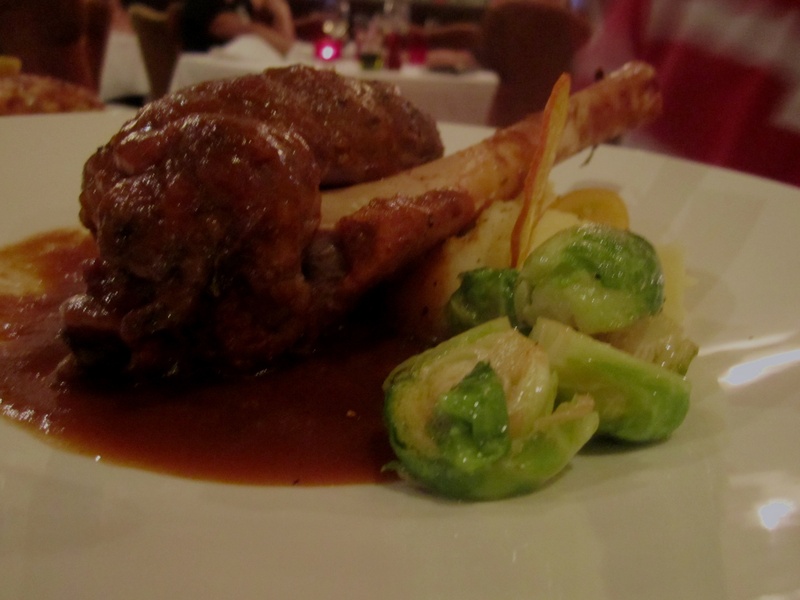 Lamb Shank in red wine sauce served with mashed potatoes and brussels sprouts! We also ordered a lasagna, which was the best I have ever tasted! Didn’t manage a picture, it was all done by the time I remembered to snap a photo! Frankie’s was a definite highlight of this trip… even the hostess dancing on the table, and the pianist who played all my favourite Sinatra songs! Next time I’m in Dubai, I’m coming back here. So there it is, the most fabulous Easter holiday a girl could ask for.. And I have my hubby to thank for that! Am i not the luckiest girl in the world??? So cool that you did Frankie’s! I love the place so much! Such decent dining, so full of flavour! Then the Butcher shop, reminds me of my once.. ok sometimes twice a month ritual to get steak there with the housemates. The steak is to die for but the fish is suprisingly good. Whenever mum would be visiting my bro and I in Dubai i’d always drag here there to stock up on nyama for my freezer! Fun times! Great blog! So happy to find an inspired foodie in kenya!